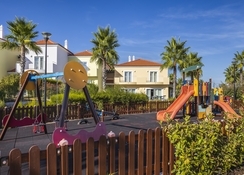 Just five minutes from one of the best beaches in the world, the Eden Resort Algarve is a perfect place to stay for a family holiday. This spectacular resort will surely delight guests with five outdoor pools, one indoor pool, football, tennis court, spa, kids club, free Wi-Fi, mini market, artificial lake, free transportation and much more. The entire resort is designed in Portuguese style with green areas and massive terraces. The best and the foremost aspect about this resort is the spa, where you will find expert masseurs who provide various massages and beauty treatments from head to toe. 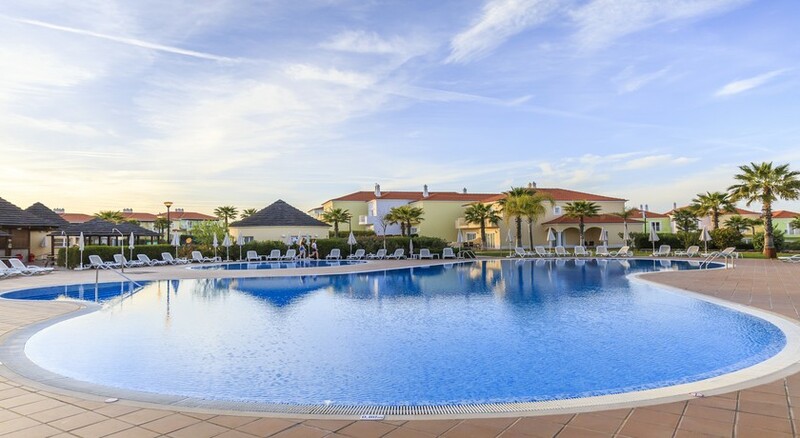 Eden Resort Algarve is located in Loteamento Quinta da Bolota. The resort is only a few minutes from the Fisherman’s Beach, where you can indulge in some exciting water sports. The Faro Airport is about 43km from the resort. 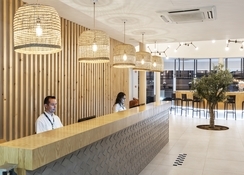 The Eden Resort in Algarve offers a wide variety of accommodations where you can explore the Eden experience. The rooms are categorised as One-bedroom Suite, Family Suite (two bedroom), Two bedrooms’ villa, superior villa (two bedrooms), Three Bedroom Villa, Superior Villa and Adam & Eve (four-bedroom villa). All rooms come with the necessary amenities including free Wi-Fi, telephone, TV, air conditioning, free parking, outdoor table with chairs, fully equipped kitchen, coffee machine, fridge, safe box, sofa bed, housekeeping 5 days per week, bath towels, bathrobe, hair dryer and iron / ironing board (on request). The resort facilitates buffet-style breakfast, lunch and dinner. It houses Kiosk Bar and Pecado Restaurant that satisfies the dining and drinking needs of the guests. During the summer months the resort serves BBQ two times a week. 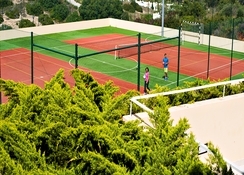 The resort has abundant sports and leisure facilities to keep guests engaged throughout the day. Don’t miss out a relaxing massage at the Adam & Eve Spa, where you will also find an indoor swimming pool, sauna and Turkish bath facilities. Those who want to swim, but don’t want to swim in the sea can take a dip in the resort’s own outdoor swimming pool. Kids too can have a lot of fun in the kid’s club under the supervision of the resort’s staff member and their parents. Please note: This hotel may not be suitable if you have mobility difficulties. Please Note : From the 1st of April 2019, we will offer a Premium Service for the All Inclusive Package. This means that the service will be available at a extended schedule - between 10am and midnight - with full access to the cocktail menu, premium drinks, fruit juices, Super Bock beer, Coca-Cola, slush, red, white and rosé wines. We hereby informed that, since April 1st 2019, pool B of the complex has become a non-smoking area. Eden's other two swimming pools continue to function as formerly..
Great Resort, everting you needs with fully equipt kitchen, spacious rooms. Very clean with 2 swimming pools. Beautiful spa with indoor pool as well. Great, provided you have transport. Lovely place,just on the outskirts of Albufeira. The poos and areas around are lovely. Our apartment was clean and to a good standard. Because we stayed out of season, the cafe/restaurant was being refurbished. An alternative was set up in a villa which was fine,with good snack food. Loved every minute of the stay luxurious apartments and fantastic pools couldn't of asked for nicer staff also great entertainment and food as well as various bars around pool and upstairs also loved the free bus shuttle to the beach 4 times a day for free made going out so much easier they also bring you back at certain times too would definetly recommend staying here and I will be back to stay again as I loved it and didn't have one fault loved relaxing in the sauna and steam room aswelll didn't expect all those services for free perfect place to relax in the sun. Apartment excellent, food great, staff exceptional. Lovely place, lovely people. Nothing was too much trouble. Absolutely fantastic resort. The apartments are superb, roomy and clean! Location wise it's perfect as is 5 minute Uber into main Town and the staff are happy to sort you out with any taxi's or trips you want. Service staff friendly, chatty and always there to help!Loads of Pools/ Entertainment and the All Inclusive is extremely generous.Couldn't recommend higher! As a family of 5 with 3 children 6,4 & 2, it was the perfect break. All inclusive was brilliant. Took all the stress away, wander in have all three meals ready for you something for even the fussiest​ children and then wander out again, everyone happy. Great pools and something for all ages. Highly recommend for families.